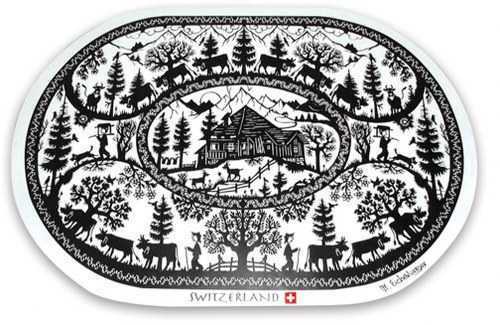 Plastic Place Mat – Scherenschnitte countryside design. Based on original scissor cutting designs. Service Area: New Glarus, Janesville, Freeport, Rockford, Sun Prairie, Loves Park, Middleton, Stoughton, Monroe, Verona, De Forest and surrounding communities.